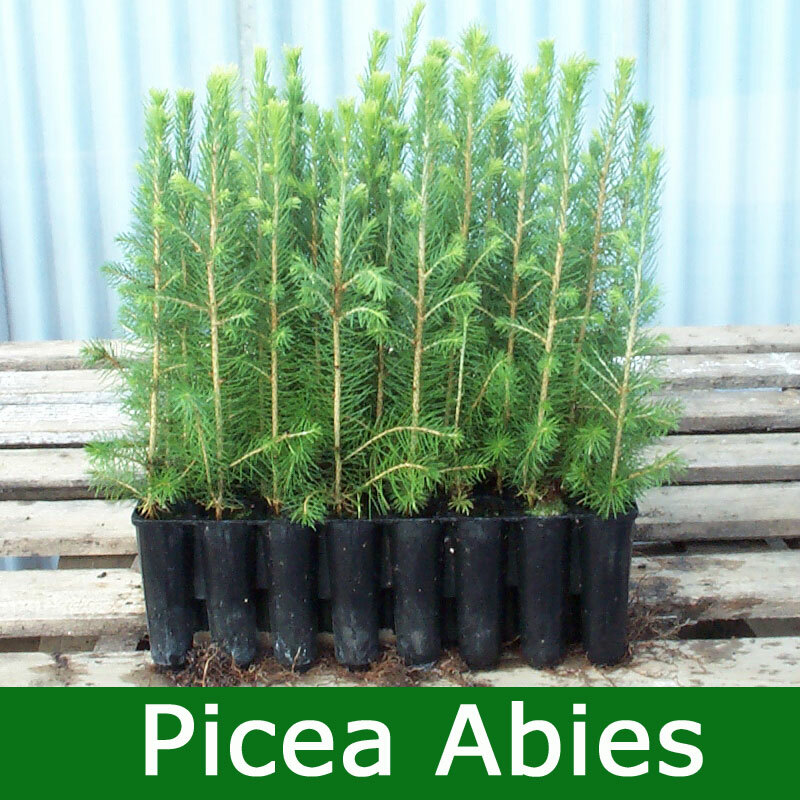 If you are looking to buy Picea Abies for a Christmas tree plantation, then you will be pleased to know that the seeds used to grow them have been selected from trees that have a good shape to them already with the theory being that the new trees will also carry a good shape too. A native tree of central and southern Europe and stretching from Scandinavia to northern Russia, the Norway Spruce (Picea abies) tree is not native to Britain, only being introduced here 500 years ago, although there is some evidence that it was native to Britain previously. A widely planted widely planted tree in woods, shelterbelts and gardens, it is more adept at coping with planting in drier, more frosty locations than for example Sitka Spruce. Norway Spruce is an important commercial forestry tree in Britain. In addition, it is a traditional, popular Christmas tree variety. Expect a final height of 44m (147ft). Our Norway Spruce fir trees do not like standing water. They will tolerate damp soils but not long term waterlogged or boggy conditions. 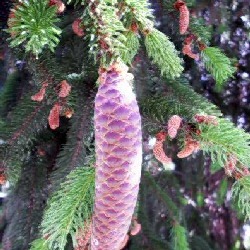 Typically, Norway Spruce may be planted as an individual tree or as an avenue of trees. Estate and Policy Woodland plantings from the 18th Century often found this tree planted along with other North American conifer species. Today, 150 years later these trees form an amazing sight and we think that this tree worthy of planting to achieve the same effect for future generations.